4k00:41Aerial view of the royal palace in the old town at night Warsaw. Night illumination of the facade is beautifully decorated with ancient buildings. TDrone shot 4k. Video format RAW. 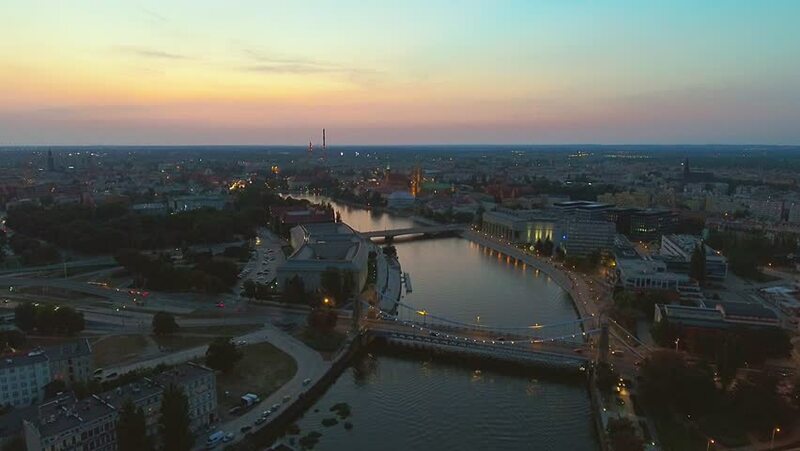 4k00:16Fly back over a river at winter city sunset with sunbeam and purple cloud.